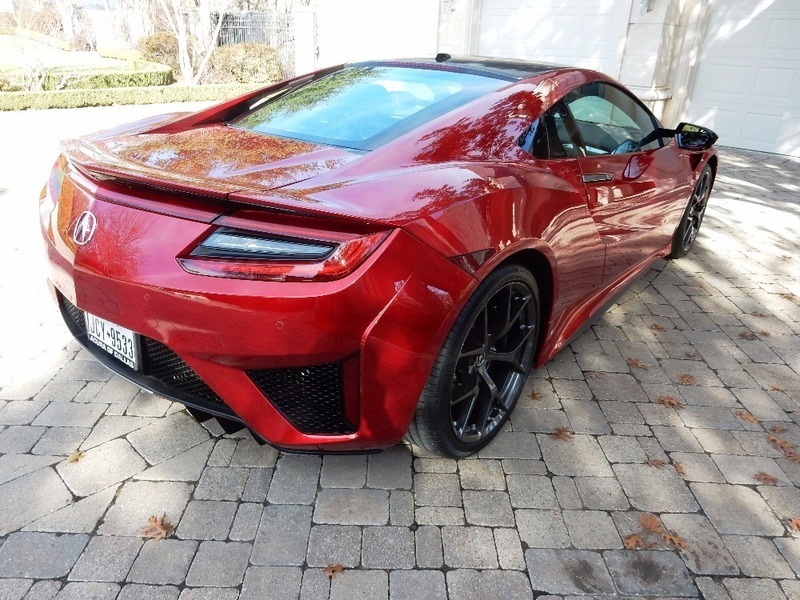 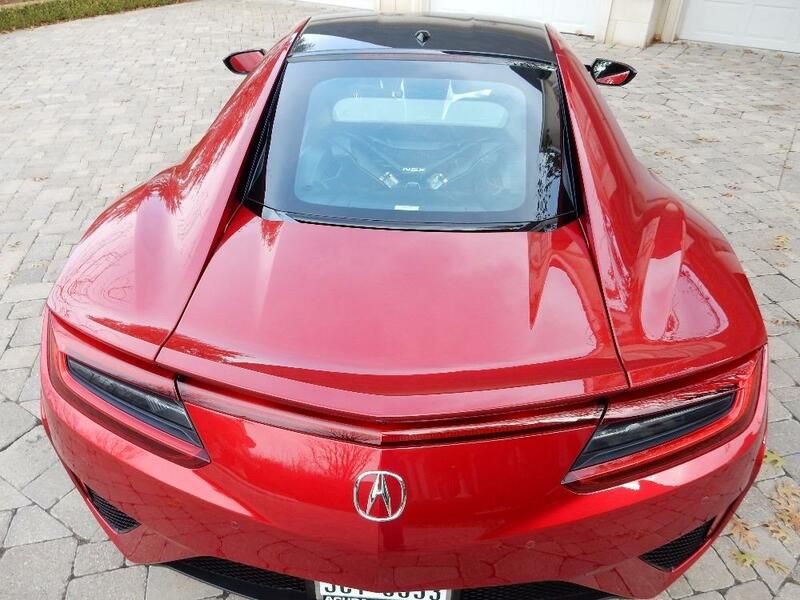 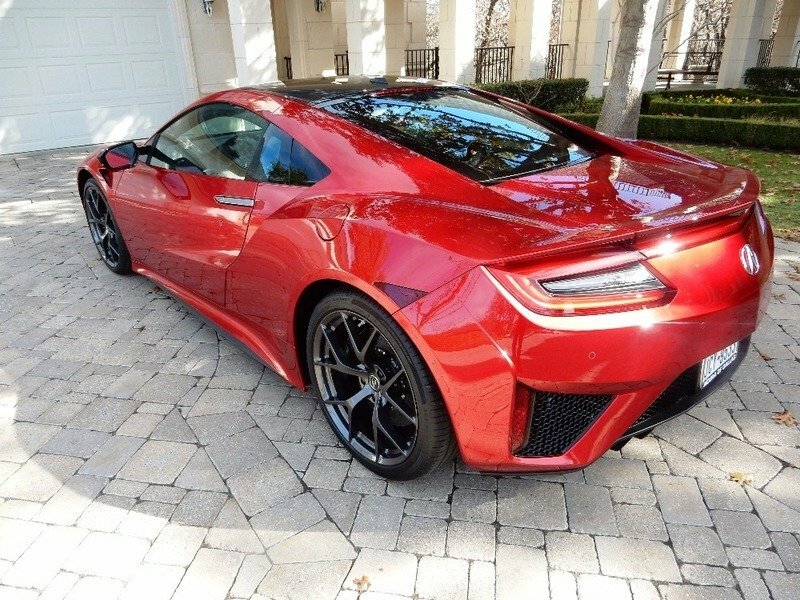 2017 Acura NSX - Only 13 Miles - Like New! 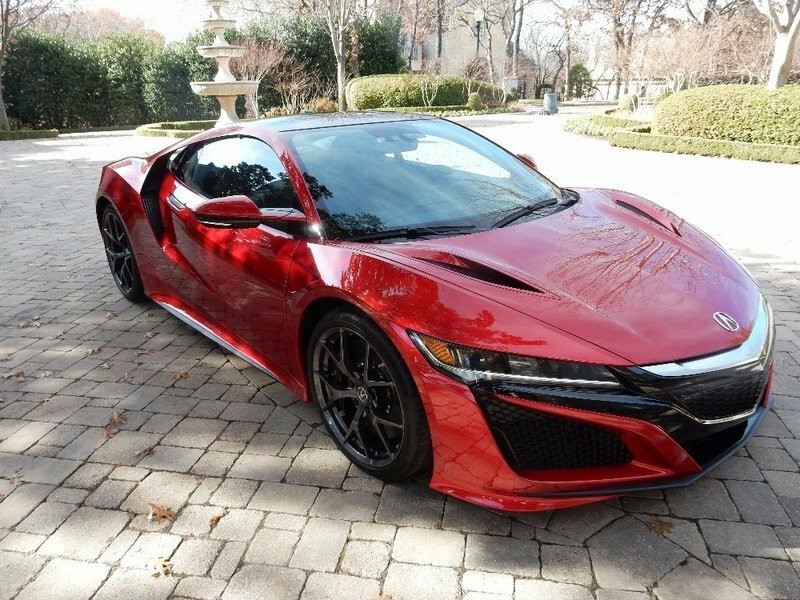 This stunning 2017 Acura NSX was purchased new by the current owner, but never driven, there are only 13 delivery miles on the odometer. 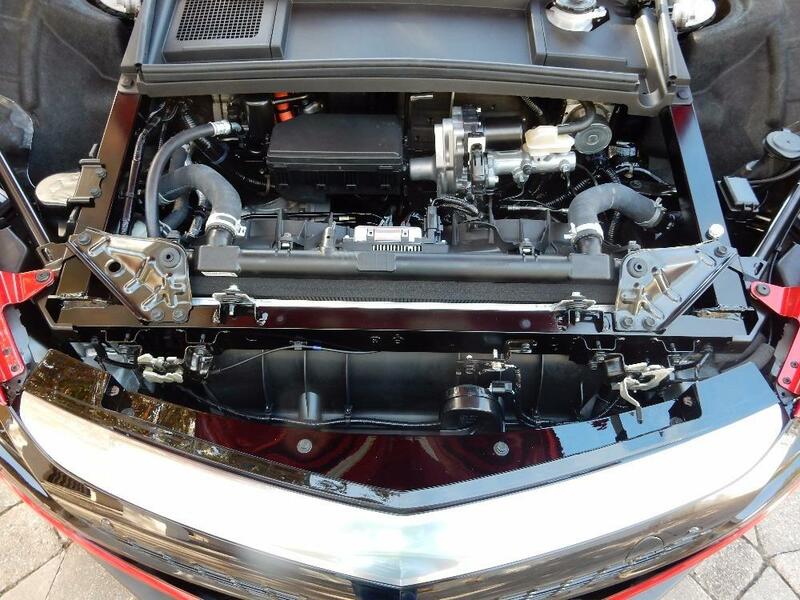 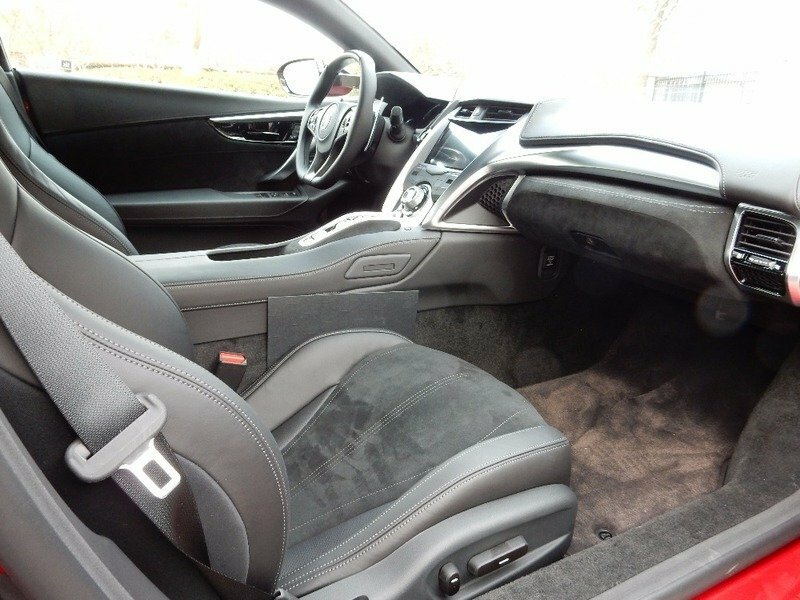 It is fully loaded with every available option and in showroom condition. 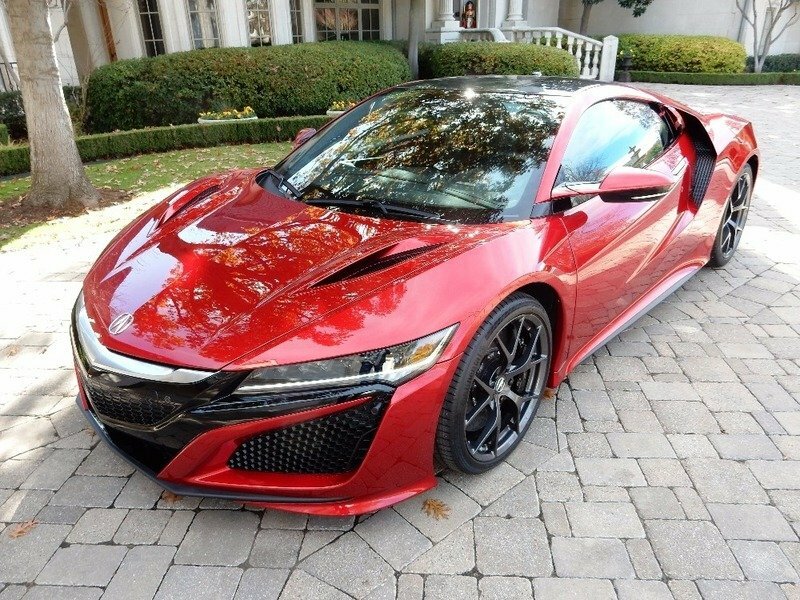 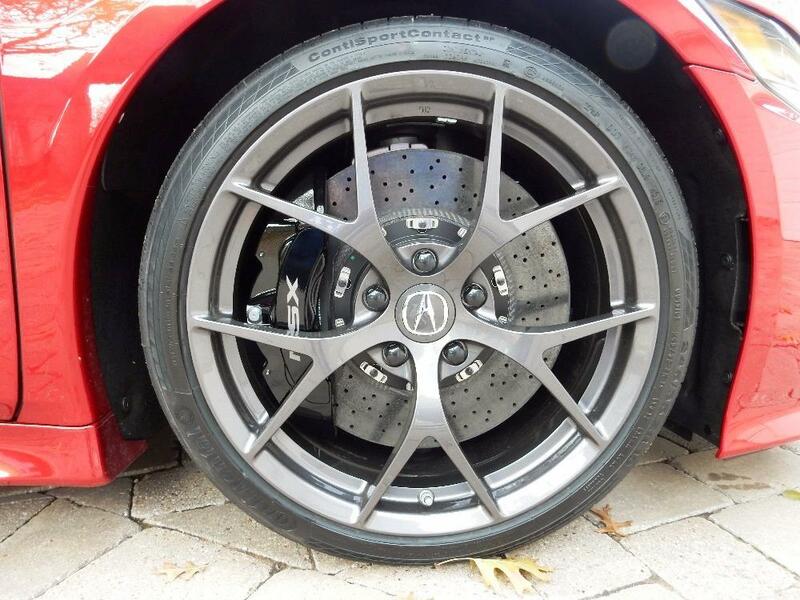 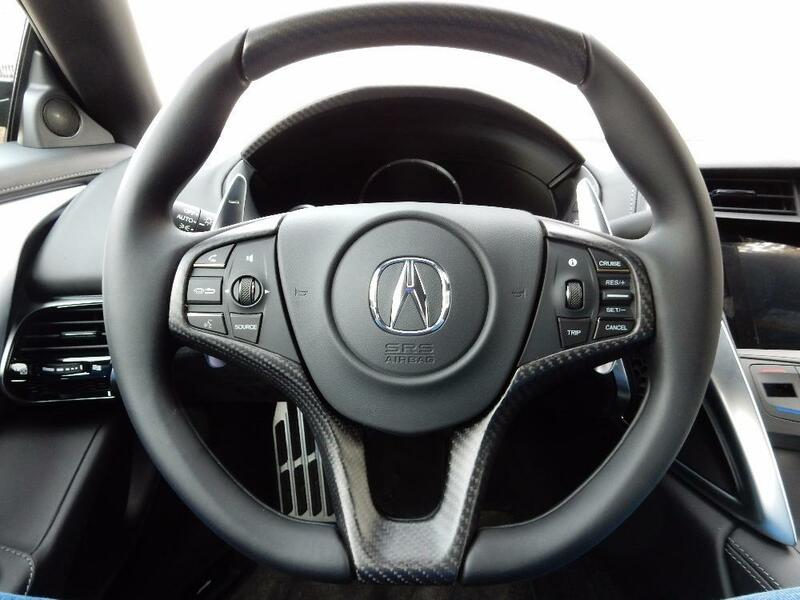 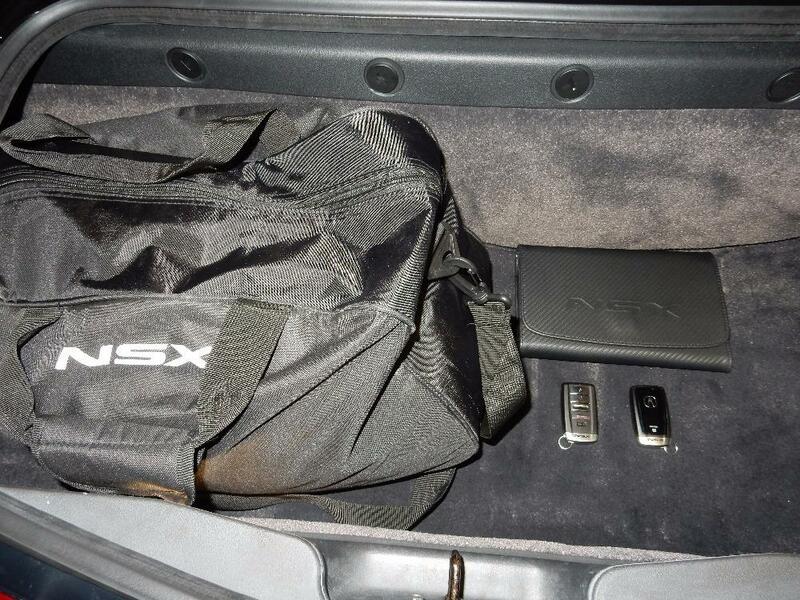 The NSX comes with carbon ceramic rotors and black brake calipers, a carbon fiber roof with SiriusXM antenna, an ELS studio audio, technology package with XM and the factory GPS system. 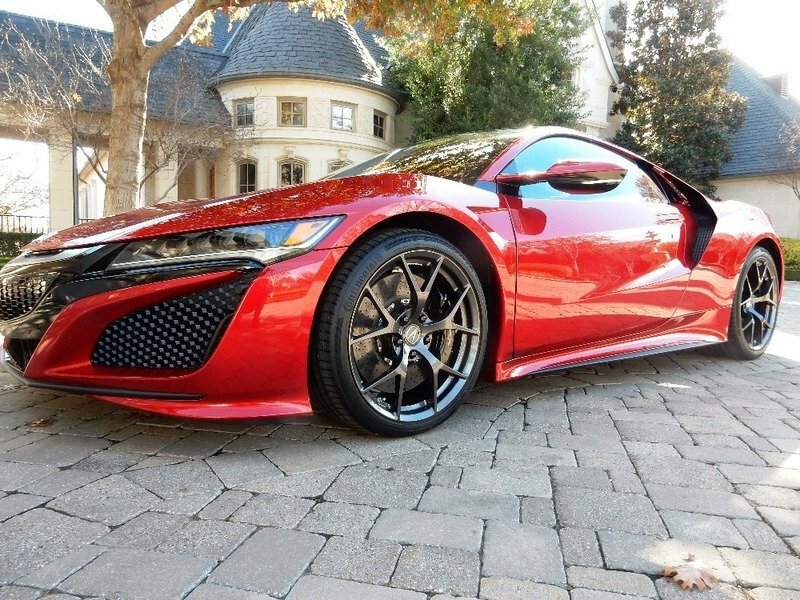 This 2017 Acura NSX comes with custom paint/graphics and custom wheels. 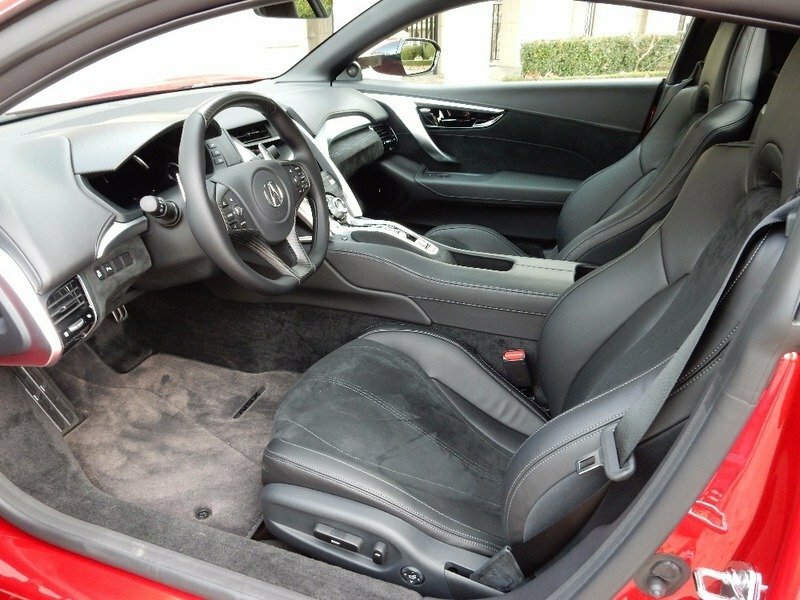 The interior includes a carbon fiber sport package, semi-aniline leather and Alcantara power sport seats, and a black Alcantara headliner. 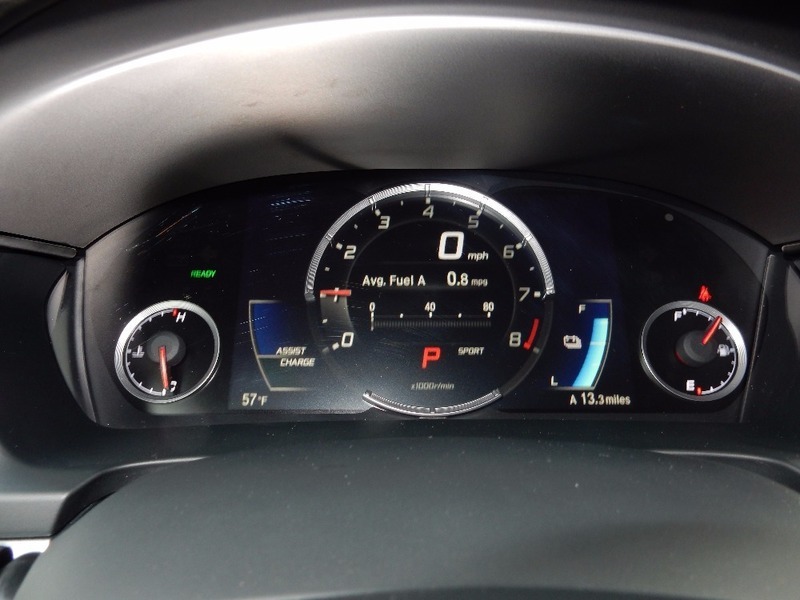 The vehicle has been stored in a temp controlled environment since it was purchased new and runs, looks and drives like the new car it is. 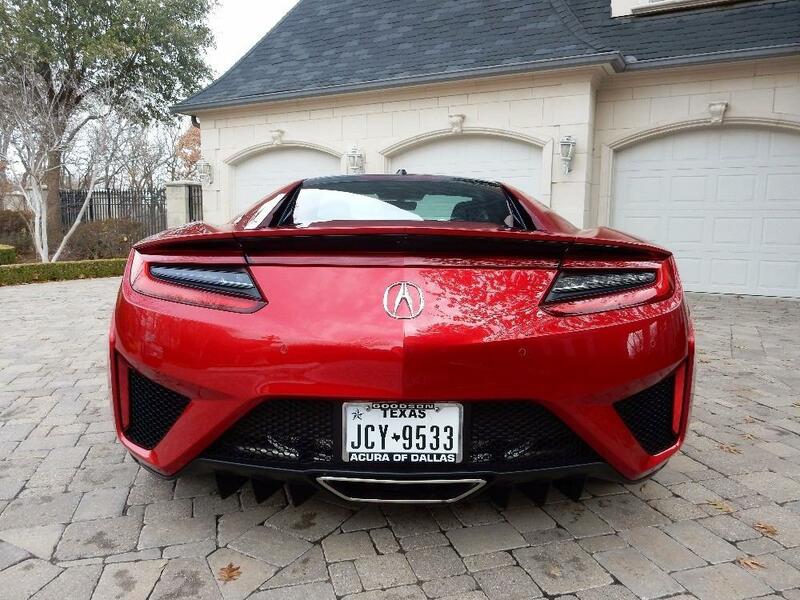 It is located in the Dallas/Ft. 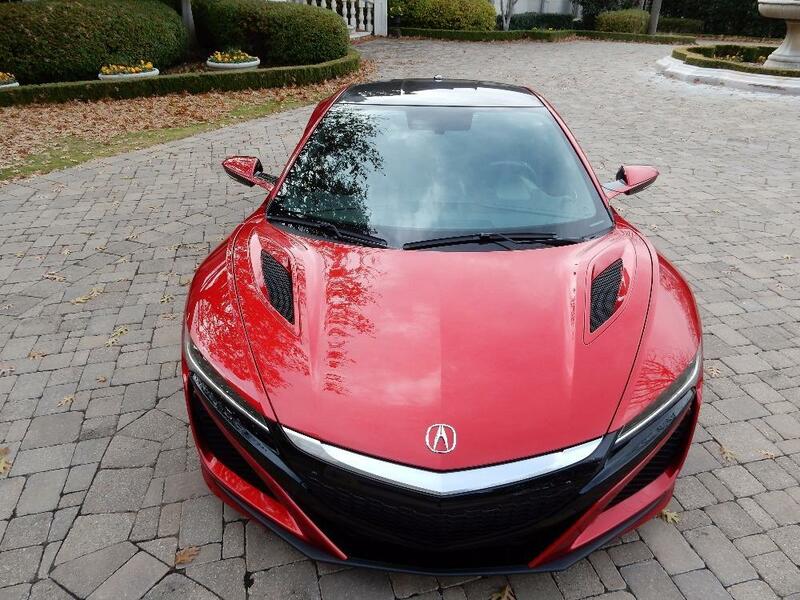 Worth area, owned by the original purchaser and available for a pre-purchase inspection. 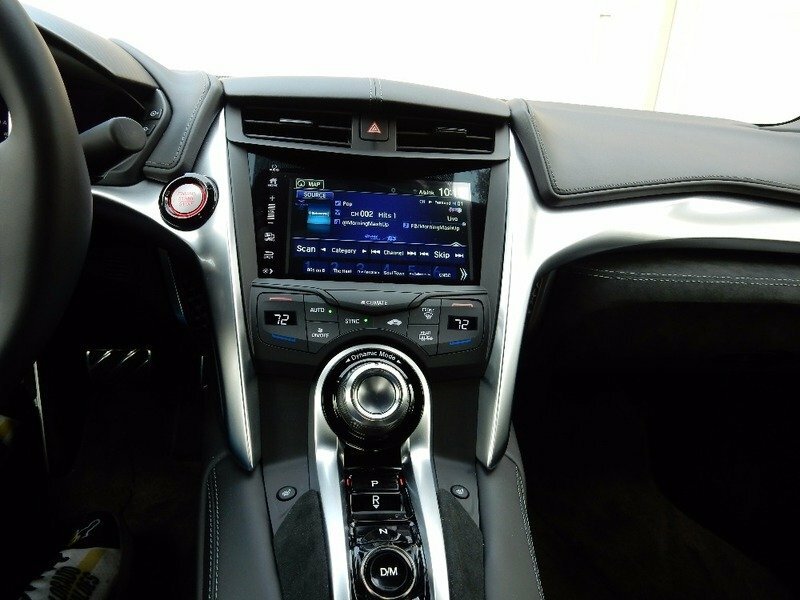 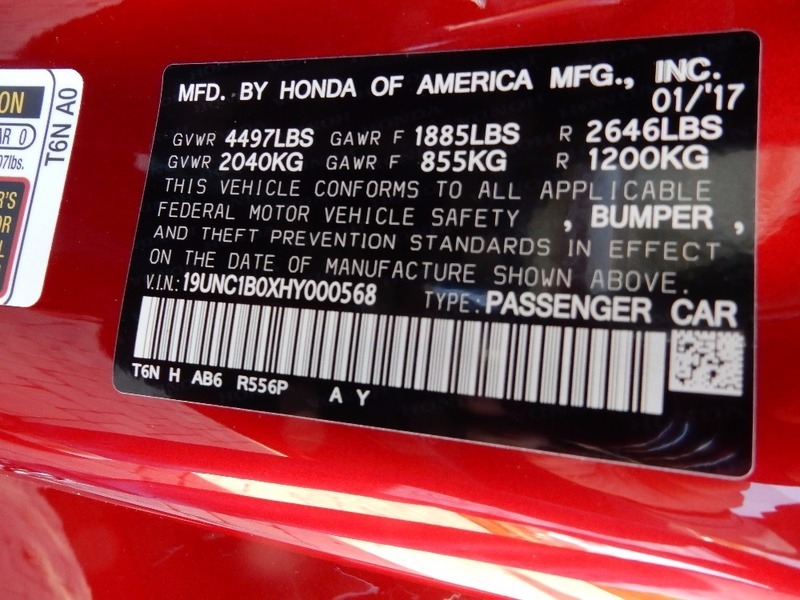 It has a full factory warranty, clear title and is ready for immediately delivery.